Come Get Customized and Freshly Baked Tees are all part of a small empire of custom tee shirt stores making custom garments from humorous to personalized to team jerseys in our home city of Toronto. Distinctive Locations: corporate and bulk orders are allocated differently than consumer, walk-in jobs. We were able to create an ad strategy that used time-of-day scheduling to manage the flow of business to one location vs. the other. Ad scheduling permits Toronto Tees to balance the demand between their shops, as well as responding to different peak times for different business. Further, we implemented a seasonal strategy that ensures Toronto Tees captures demand for holiday, event and festival buying. People want to commemorate and celebrate with what they wear! 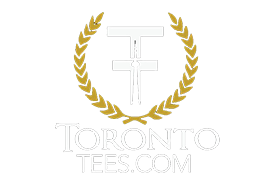 Toronto Tees is a long-term client who relies heavily on the business we generate. We continue to manage their campaigns to generate increasing sales for both corporate and walk-in sales, and increase awareness of their brand in a competitive market.